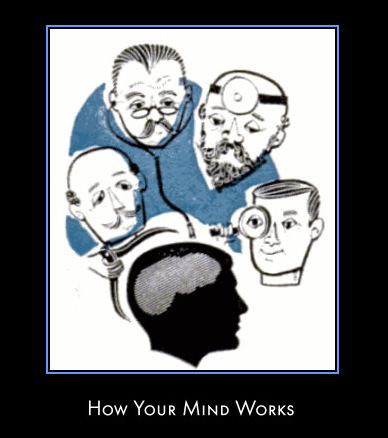 Psychology and the human mind are inextricably linked. 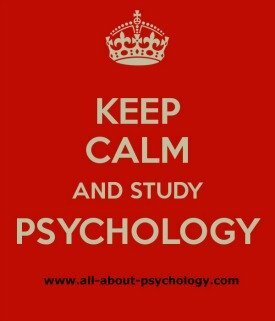 Indeed, the word psychology is derived from the Greek words psuche, meaning mind or soul, from which the term psyche arose; and logos meaning study or discourse. Combining these words gives you a literal translation of psychology as being study of the mind. It is unsurprising, therefore, to find the concept of the mind at the heart of many definitions of psychology e.g, "Psychology is the scientific study of people, the mind and behaviour." (The British Psychological Society). So with this in mind (pun intended) the aim of this page is to provide an information resource for anybody wanting to find out more about the fascinating world of the human mind; starting with with a playlist of fascinating videos on the subject. Part of the science and nature section of the BBC website. Includes lots of fascinating links and articles. Click Here To Visit Human Body & Mind. All in The Mind is described as a show that explores the limits and potential of the mind, revealing the latest research and bringing together experts and commentators from the worlds of psychiatry, psychology and mental health. There is a section on the BBC website dedicated to the show and although it's not always on air, visitors can listen to past shows in full dating back to 2005. Click Here To Listen To All in The Mind (BBC UK). Also entitled "All in The Mind" this very informative psychology podcast is produced by ABC radio in Australia. Presented by Natasha Mitchell, the show is described as "A weekly foray into all things mental – a program about the mind, brain and behaviour. From dreaming to depression, addiction to artificial intelligence, consciousness to coma, psychoanalysis to psychopathy, free will to forgetting – All in the Mind explores the human condition through the mind's eye." Click Here To Listen To All in The Mind (ABC Australia). Open Yale Courses provide lectures and other materials from selected Yale College courses to the public free of charge. Each course includes a full set of class lectures produced in high-quality video accompanied by such other course materials as lecture transcipts and suggested readings. 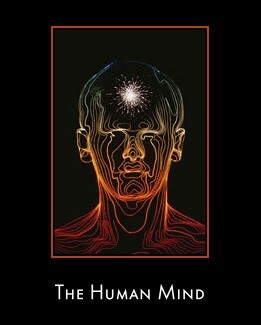 In a comprehensive introduction to the study of the human mind, Professor Paul Bloom explores the following. What do your dreams mean? Do men and women differ in the nature and intensity of their sexual desires? Can apes learn sign language? Why can’t we tickle ourselves? This course tries to answer these questions and many others, providing a comprehensive overview of the scientific study of thought and behavior. It explores topics such as perception, communication, learning, memory, decision-making, religion, persuasion, love, lust, hunger, art, fiction, and dreams. We will look at how these aspects of the mind develop in children, how they differ across people, how they are wired-up in the brain, and how they break down due to illness and injury. Click Here To Access This Outstanding Resource.